And he dropped another classic yesterday! So much so, the group could train naked and the journalists would still focus on our 40-goal no.11. “It is a really good group and, with Mo, everyone really likes the hype around him, all the boys,” Klopp told Goal. “The boys created the atmosphere in the group. In a successful team, there is always a good ­atmosphere. Other teams can have very good ­players, but no group. “There is so much that is positive – we are a team. The boys are all together. The positive vibe around the squad is currently shared by the fans, too. Against Bournemouth, there was a real carnival atmosphere at Anfield – even when we were only 1-0 up quite late on in the match. 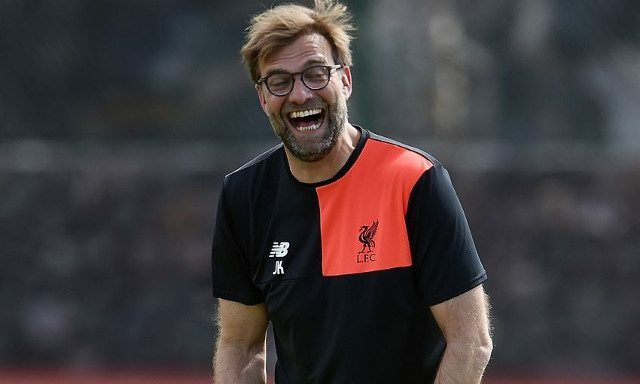 At various points during Klopp’s tenure, fans would be sat there biting nails and grimacing, much to the manager’s discontent – but this seems to be changing. Anfield trusts Klopp and his players – and deservedly so. We may finish this season without any silverware if we’re not triumphant in the Champions League, but things are on the up. We’re a club united and nothing should change the positivity putting a smile on everyone’s faces every day.